Be An Angel Fund is a children’s charity serving children in Houston with multiple disabilities and profound deafness. 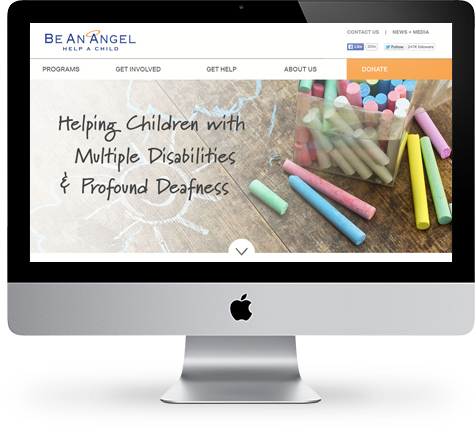 Be An Angel’s new responsive website is an online hub of information benefiting families with special needs children. Web visitors can make online donations, sign up to volunteer, learn about programs through videos, sign up for fundraising events and share articles and events on various social media platforms. Their staff can update the website 24/7 from any computer. We integrated our Email Marketing service to their website, expanding their contact database. Be An Angel’s staff easily creates and sends branded email campaigns promoting fundraising events, highlighting milestones and accomplishments, organizing volunteers, and accepting online donations.